Since now it will be more convenient for your customers to get their data back while you will save time and avoid numerous explanations to understand what files your customer needs to recover first and foremost. It is especially important when the customer's hard disk drive will be bricked soon and you urgently need to know which data the customer needs most of all. With DE Viewer your customer can set up the priorities for the critical files and folders to be recovered and make some comments for you. 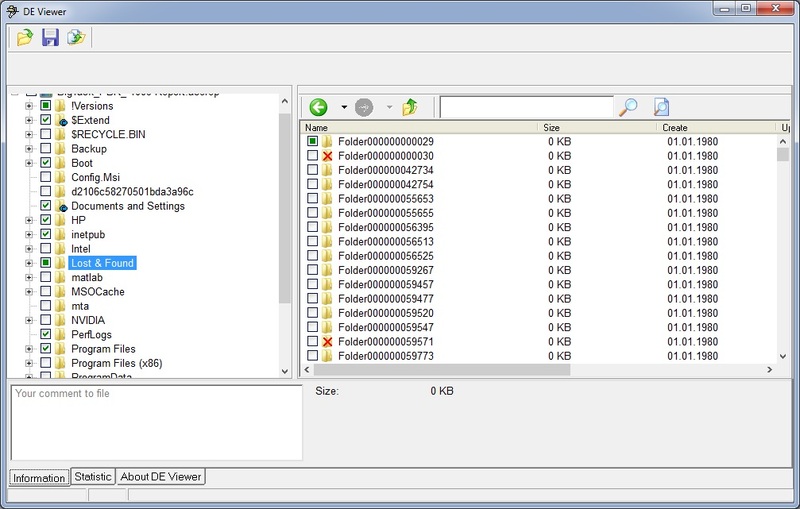 DE Viewer is a free application which is available for all Data Extractor users and their customers. Your customers can view the information about the data that can be recovered, mark the files they need and you will know exactly which files you need to recover. It is possible to mark the desired files, post comments, search, watch information about the files. After your customer has chosen the data to be recovered, he clicks " Prepare results to send back" option. The file is sent to the data recovery center. 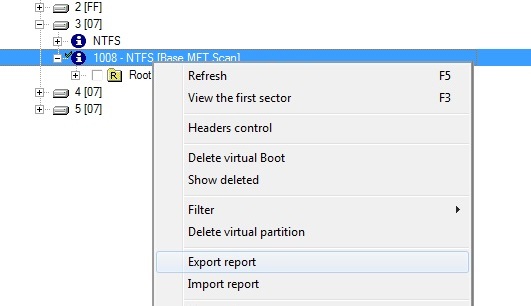 You can open the file received from your customer by selecting "Import Report" menu in the context menu of the file system (from which the report was exported) . All marks and comments made by the customer will be applied to this file system. All reports and the application itself are made with a goal to minimize the amount of information which is sent. The customer does not need to explain over the phone for a long time which files he needs. He did not have to travel to the service center to show them in person, which can be a problem especially if he is from another city. When you restore a drive, which is about to stop working, each file is important. Customer comments allow to set the right priorities.